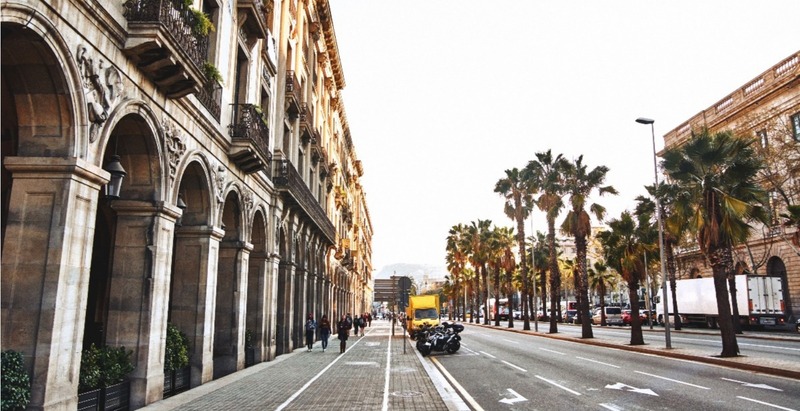 Walk through Spain’s second largest city with this ABC guide. 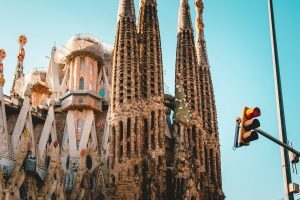 Barcelona is simply astounding; Catalonia’s cosmopolitan capital has a culinary scene as vibrant as its clubs and architecture as colourful as its culture — all protected by a fiercely proud local identity that still welcomes all visitors. Modern and medieval buildings sit side-by-side overlooking beautiful beaches, luscious city parks and bustling plazas. BAZAAR‘s travel correspondent Jacob Weber puts together an ABC guide for first time Barcelona dwellers. The city is world-famous for its awe-inspiring art and distinctive design scene. It’s a melting pot of modernist and Middle Age construction, a treasure trove of architectural tradition in a beautiful blend of old and new. Even if you can’t tell your Gothic from your Gaudi, you cannot fail to absorb the atmosphere that seems to radiate from the very streets themselves. It’s a smorgasbord of styles, a clash of colours, stoic and staggering in equal measure: effectively an enormous open-air museum for aficionados of architecture. A year’s worth of walking tours might not be enough to see it all, but the works of one of the city’s most famous sons are a good place to start: Antoni Gaudi, the masterful modernist architect, was renowned for his original and creative designs that were – and are – quite unlike anything seen anywhere else. No fewer than seven of the city’s World Heritage sites bear his name. 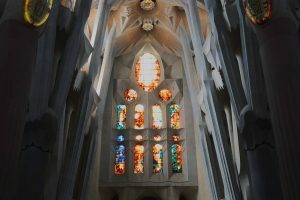 His masterpiece, the Sagrada Familia, is the most enduring image of Barcelona; the towering Roman Catholic cathedral, still under construction over 100 years after it began, features four architectural styles from Spanish Late Gothic to Art Nouveau. The interior is quite remarkable; elaborate and ever changing, ornate yet organic with barely a flat surface in sight, inspired by the free-flowing curves and shapes of nature. It’s the most-visited monument in the country, so make sure you pre-book a ticket. Rather than queue for hours in the sweltering Spanish sun, you can put your time outdoors to better use and explore one of the most iconic green spaces in the city: Gaudi’s Parc Guell. This mystical, multi-coloured park features stunning mosaic work and curious stone structures, with a great view of the city from the terrace at the top. Across town, the 42 acres of the Parc de la Cuitadella include the Barcelona Zoo, massive sculptures, and the famous centrepiece fountain, designed by Josep Fontseré and his apprentice, a young – you guessed it – Antoni Gaudí. The apartment buildings at La Pedrera, Gaudi’s final civilian project and a work of architectural ingenuity, are curving, captivating and thoroughly unconventional. With its undulating form and unusual façade, it was innovative well beyond its time when it was completed in 1912 – commissioned for one of the first car-owners in Barcelona, it came with the first underground car parking space in the city. There are two particularly stunning examples of Gothic architecture. The Cathedral of Santa Eulalia is one of the most beautiful buildings in Barcelona; visit at the right time at a weekend (usually Saturday evenings and Sunday mornings) and you might catch a Catalan tradition in full swing: the Sardana dance. The cathedral takes pride of place practically in the centre of the Gothic Quarter, and is a good starting point to explore the rest of this part of the city; history and mystery are around every corner, and it deserves at least a half-day dedicated to exploring the winding, narrow streets. It’s a short walk to the graceful Santa Maria del Mar, an outstanding piece of 15th century Gothic architecture and one of the most important churches in the city, once a symbol of Barcelona’s rule over a Mediterranean empire. It’s massive while modest, awesome yet austere, with a spacious and serene interior. 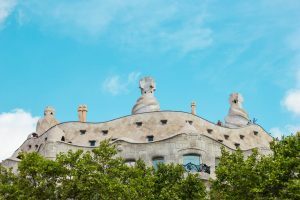 Although art and architecture are often one and the same in Barcelona, purists of either discipline have plenty to pursue independently, and after all these funky facades and barely believable buildings, art lovers are spoilt for choice themselves. The Museu Picasso houses one of the most extensive collections by the eponymous artist, fans of whom should also pay homage to the Els Quatre Gats café, once a central meeting point for the city’s most important modernist minds and a favourite of the 17-year-old Picasso. The Museu Nacional d’Art de Catalunya contains a colossal collection of Catalan art from as early as the 12th century and Romanesque art from even earlier. For the more modern-minded, the MACBA houses a 5,000-strong permanent collection of contemporary art from the mid-20th century onward. 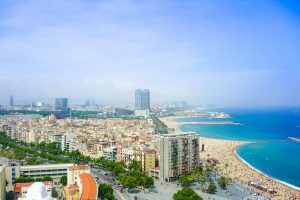 Whether for a beach break, a romantic retreat, even a personal food festival, Barcelona ticks all the boxes. With the mountains on one side, the ocean on the other, and everything from quirky culture to the famous football stadium inbetween, Spain’s second-largest city is packed with surprises. It’s never the same city twice, with too much to grow tired of – but you’ll have a lot of fun trying. Isn’t she a superhero already, though? A frosty getaway in Japan’s powder capital, Hokkaido awaits. From contemporary dance to pop — there is something for everyone. Real, fake, tattooed or glittered, the allure of freckles is stronger than ever. The Beckham clan all sat front row to support her. Chris Evans showing his devotion to Regina King is so important to me. She shared new images from the private ceremony in her 2018 recap. Her rock is similar to Lady Gaga and Princess Eugenie’s engagement rings, too.